S U P R E M A T I S M - O N - T H E - S Q U A R E ! Dear Whoever You Might Be, through this web site we invite the citizens of Zagreb and Croatia, but also other interested individuals, to support an endangered artwork which is longing to be realized. By signing your name on our petition page, you will support the public space on the main square in Zagreb, Croatia to be used for a poetic cause. 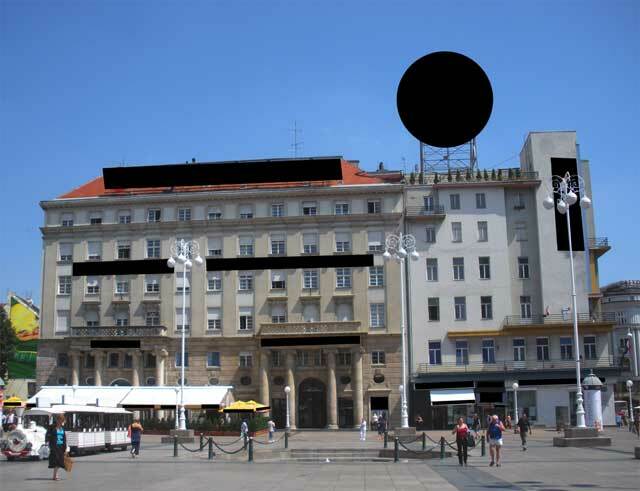 Under the pressure of the Zagreb Unicredit Group Bank, the Zagreb municipal administration banned the artistic project "Suprematism on the Square! ", after it was approved and supported by the same administration as well as by the Croatian Ministry of Culture. Your signature and comments will be appreciated and helpful. Support culture and freedom of artistic expression! Learn more!